Like any kind of technology, there are always changes that take place. The same can be said when it comes to web design. Each year there are at least a few changes and new trends. One of the biggest temptations that come with web design is to have too much in too little of a space, although the trends change back and forth about this. 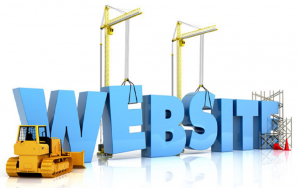 There are many different features that can be built into web design. Some of these can be used for the display of images or for ads. A common example of these is the carousels. With the use of carousels, it meant less space was being used, so more space was available for other things. The problem is that they became overused and then the trend switched over to using video banners. These too are on the brink of being overused. It is expected that these will soon become old news. A big change that has taken place in web design is the attention to responsive design. At the same time, the desktop cannot be forgotten. Responsiveness is what is needed for all the devices that are used today. However, the desktop is still an important tool in the workplace. The images that are used in a web design add character to the site. These are what make it interesting for the viewer. The latest approach is storytelling through narratives. This has two purposes. One is to keep the search engines happy and the other is to deliver information to the site visitor. More internet users are becoming savvier about internet security. This is putting a greater burden on the web designer to ensure that their design has built-in security features. This is raising the cost of their services which can be hard to justify to some of their clients.